Welcome to the Circus with our new Ringleader Mini Backpack! 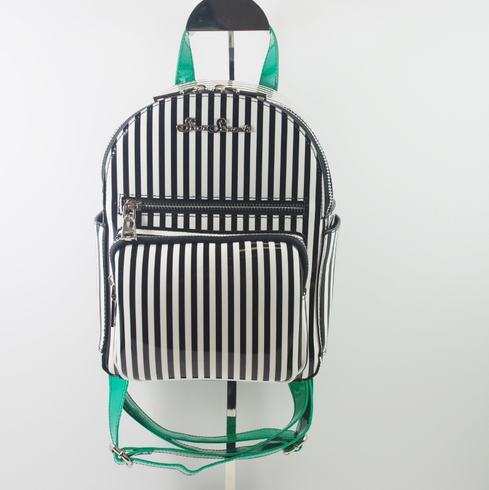 Made from Black and White Stripe and Emerald Green Sparkle vinyl it is sure to get noticed! This bag is the perfect compliment to any outfit!